Video conferencing is one of the fastest growing sectors in telecommunication. As video conferencing solutions become more affordable, almost every business is taking advantage of it in search of increasing productivity, reducing travel costs and more benefits. Instead of using your computer for the video conferencing, it’s easier to just have a device that works and feels like a regular phone! It makes your business look more professional and it gives you all you need in one device for video conferencing, including speakerphone, integrated or built-in camera, etc. 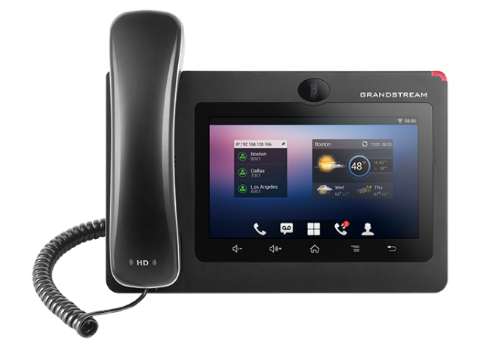 Grandstream GXV3275 IP Multimedia Phone is one of our favorite video phones at VoIP Supply. The GXV3275 is equipped with 6 SIP accounts, integrated wi-fi, built-in web browser, a tiltable CMOS camera, and HD audio/voice, giving you crystal-clear communication experience! If your business requires a little more lines, check out Yealink’s T58V smart media phone that provides up to 16 VoIP accounts and up to 5-way video/audio mixed conferencing. This device provides an enriched HD audio and video calling experience for business professionals like you. The T58V also comes with a 7-inch touchscreen, built-in Bluetooth and WiFi. Having a VoIP headset makes a big difference! You will be able to communicate without any distractions. Almost all softphone headsets offer noise-cancellation feature now. Best of all, we are offering free shipping on ALL headsets and headset accessories! Plantronics Blackwire C520 is the best-seller in CS family for nearly a decade. It is not only very comfortable for all-day wearing but also very easy to manage and control remotely. Maximum mobility, one-touch controls, energy efficient power management, simple plug-and-talk installation — the CS540 does it all! 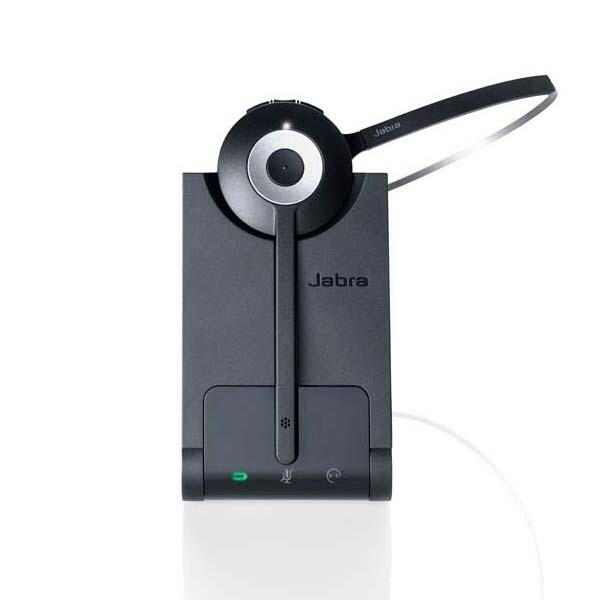 Jabra Pro 920 Wireless Headset is another great option for professionals who love hands-free communications. Jabra SafeTone protects your hearing by cutting off loud noises and securing safe average sound levels. Simply connect this simple and intuitive headset to your softphone, you are ready to roll in a video conferencing meeting on the road! 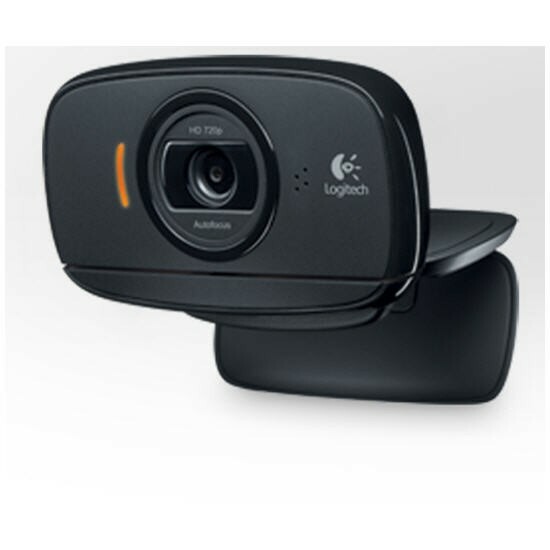 The Logitech C525, a USB webcam that records in 720p HD and allows you to upload the video recording to social media platforms such as Facebook, Twitter, and Youtube with just one simple click! FREETALK Talk 7140 is another unbeatable webcam deal that provides best-in-class video performance. Our customers love how compact and lightweight it is to carry with wherever you go. This webcam is also Skype-certified! 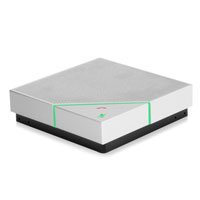 The Polycom VoxBox Speakerphone comes with 4 microphones and 10-foot (3-meters) microphone range! The compact design with Bluetooth wireless pairing and USB connectivity make it the best choice for frequent travelers who need to host conference calls on the go. Also check out one of our most popular conference speakerphone, Yamaha’s YVC-200. This device is equipped with easy connectability and professional-quality audio. The YVC-200 features a headphone plug for private listening and contains a rechargeable battery that allows complete portability for up to 10 hours! There you have it! Are you ready to host a professional video conferencing call? Share your experience with us!